Can the candidate turn his speech about the Rev. Wright into a triumph? 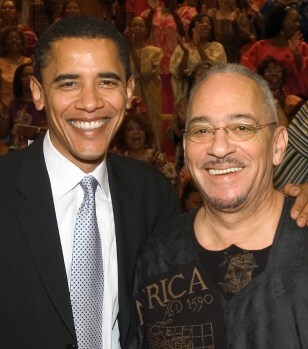 Democratic presidential candidate Sen. Barack Obama, D-Ill., left, shown here with his pastor, the Rev. Jeremiah Wright of Trinity United Church of Christ in Chicago, March 10, 2005.